ADCO personnel are fully licence-eligible to carry out the complete range of excavation requirement in Ireland, on land and underwater. On-site personnel are supported fully by the necessary logistical infrastructure, in the field and at the office, and this continues through to post-excavation analysis, reporting, and publication. ADCO personnel comprise seasoned archaeological divers who are expert in the detailed recording and excavation of submerged material. The company has excavated a wide range of sites including shipwrecks, lake settlements, logboats, bridge foundations, quaysides, weirs and fishtraps. A project of particular note is the excavation of a series of medieval bridge remains located beneath John’s Bridge in Kilkenny City, carried out as part of the River Nore Flood Alleviation Scheme. 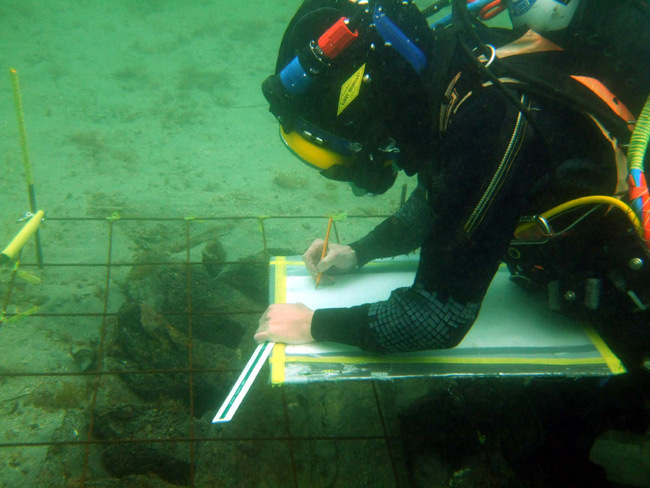 This undertaking constituted the most comprehensive underwater archaeological exercise in the history of the Irish State, with more than 8000 hours of incident free underwater work carried out over a 9-month period. To read more about this project and others form our portfolio, please follow the links provided below. 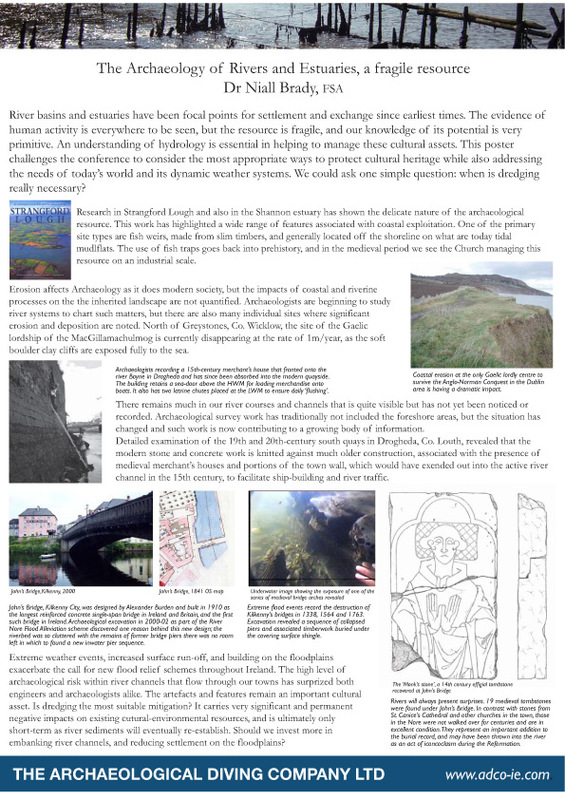 The Archaeology of Rivers and Estuaries, a fragile resource.